Wizards of Oz: [Moblog] OK! 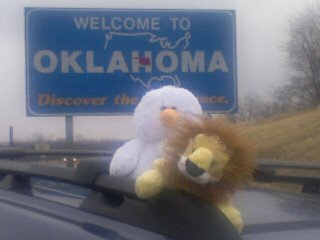 One of the few states my kids have yet to visit is Oklahoma. I was first here 20 years ago, when a friend from college was at Fort Sill for Artillery School. The boy will get ND taken care of next winter on an ice fishing expedition to Devils Lake for walleyes, perch, and giant northern pike!